WARWICK, UK, August 3, 2018 – the international boardroom development company, Eskil (https://www.eskil.co) has signed papers with the Croatian facilitator, consultant and L&D professional, Marino Miloš in the role of Associate Facilitator. With almost 20 year’s experience in the HR areas, Marino Milos is a highly experienced speaker, facilitator, consultant and advisor. Marino has worked within IT Services as well as Banking & Finance including being HR Director with Allianz (Zagreb) and Chief Advisor (Asset-Liability Management) with Privredna banka Zagreb (PBZ). 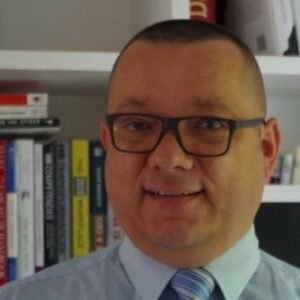 Since 2012, he has been engaged as an independent management consultant, providing HR expertise to organizations in Central Europe. I knew of the reputation of Eskil and, specifically, Neil before I actually engaged him to work with people in an IT Services company in Croatia. 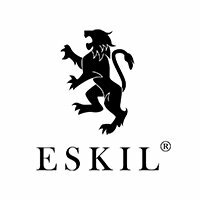 Eskil’s emphasis on introducing information and ideas in engaging ways resonated with my own style. One thing that stood out was their insistence on working in partnership with a client as opposed to being a supplier. This captured my interest in them as I could see how they would support me as an Associate Facilitator and their Client in a truly collaborative commitment. Marino’s Bachelors in Psychology and Masters in International HR Management both underline his commitment to cross-cultural activity. This includes assessing talent in Russia, Hungary, Slovakia, Serbia. His speaking engagements have been in Croatia, Bosnia and Herzegovina, and Austria. With our commitment to extending our profile into Central & Southern Europe, we have been actively seeking out Associates & Partners. Marino’s multi-cultural experience is impressive and critical in the modern business world. We could see how Marino’s expertise as a consultant would be hugely beneficial to our clients and the role of associate facilitator incorporates training, projects and advisory work.